...is not a linear process. It is a process which will never be fully completed. 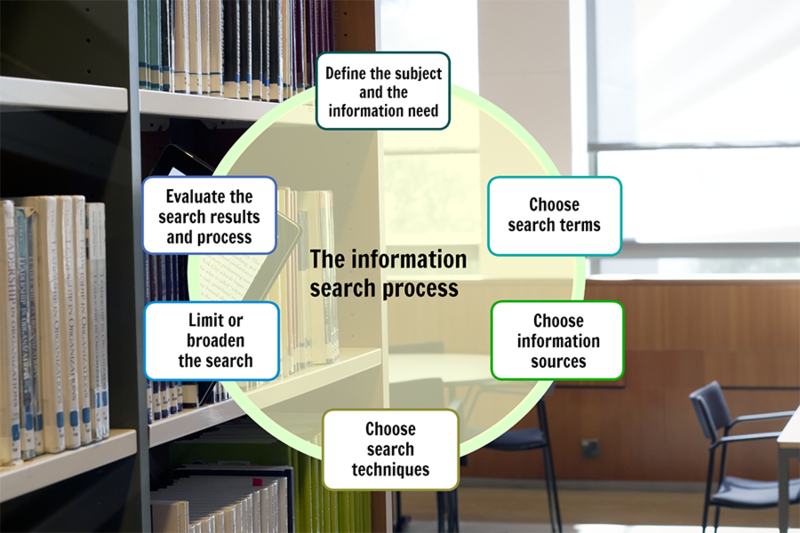 There are several stages in the information search process. You can go back to any of the stages during the process. If your search generates too many results, try improving your search technique. Maybe your search terms weren't precise enough? If, on the other hand, your results do not match your need, it might be a good idea to change information source. There are many opportunities. You just have to try various methods and be prepared to give it some time and effort. Practice makes perfect!